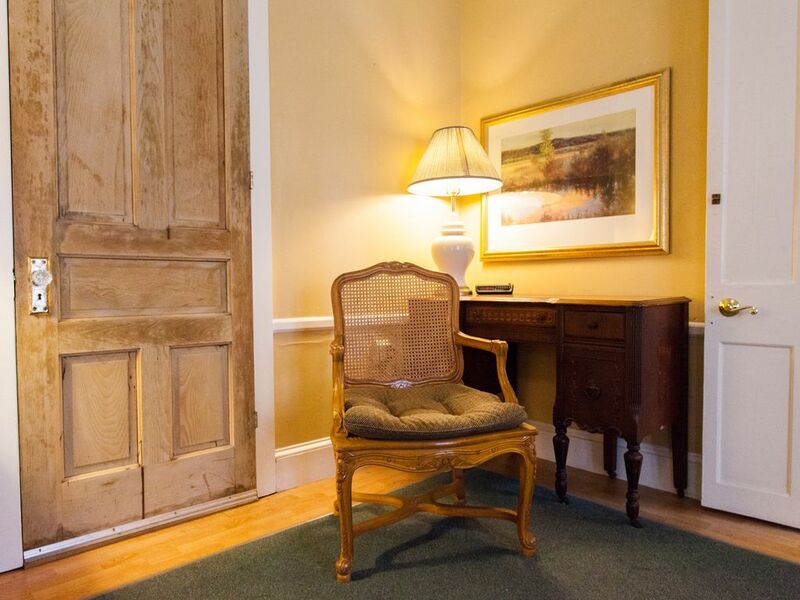 A private entry from the street opens onto a private deck, French doors open into the suite. The deck overlooks a fountain and flower garden. A goldfish pond with a soothing fountain is surrounded by a flowerbed viewed from both the deck and the pavilion. Tropical foliage and a fountain make this a restful place to relax over morning coffee or afternoon cocktails. 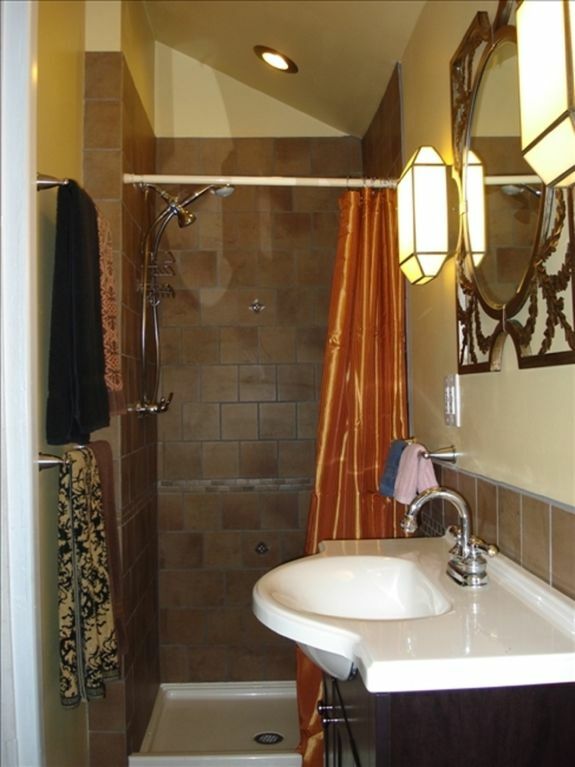 This can be adjoined to a one-bedroom suite. 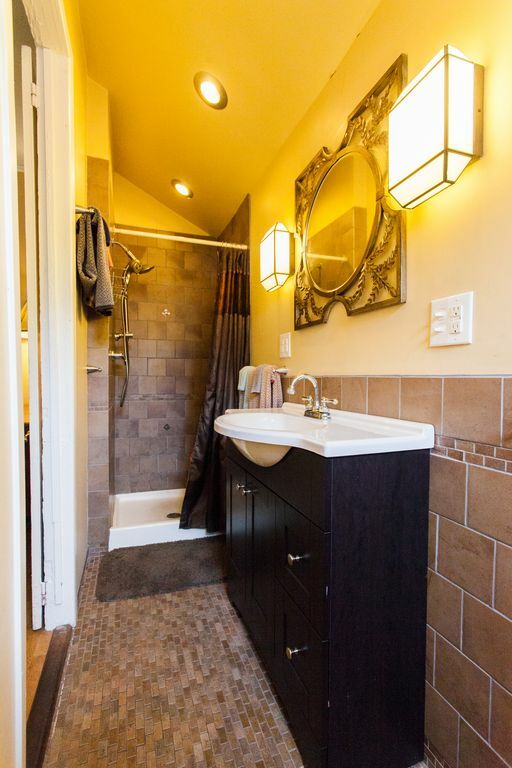 A laundry facility is available for guests' use. 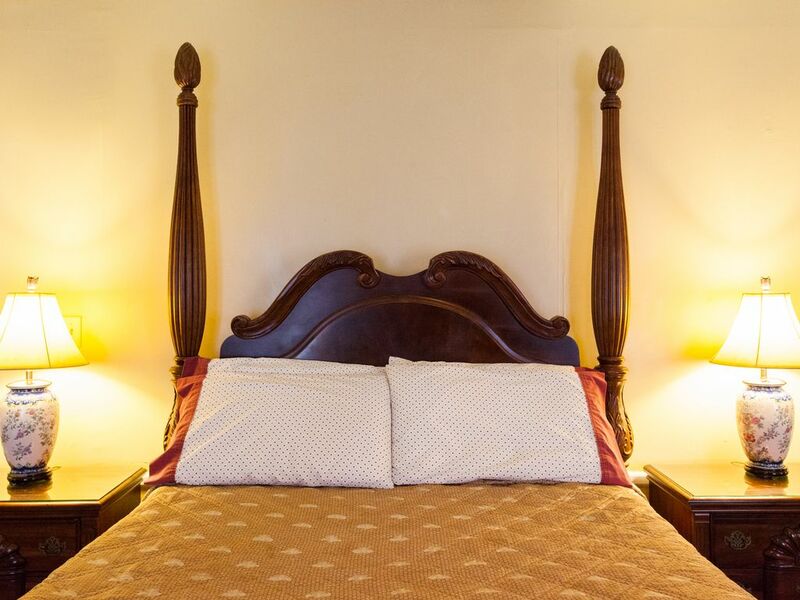 A massive queen-sized, four-poster bed makes this large 13 x 21 foot bedroom a favorite with guests. 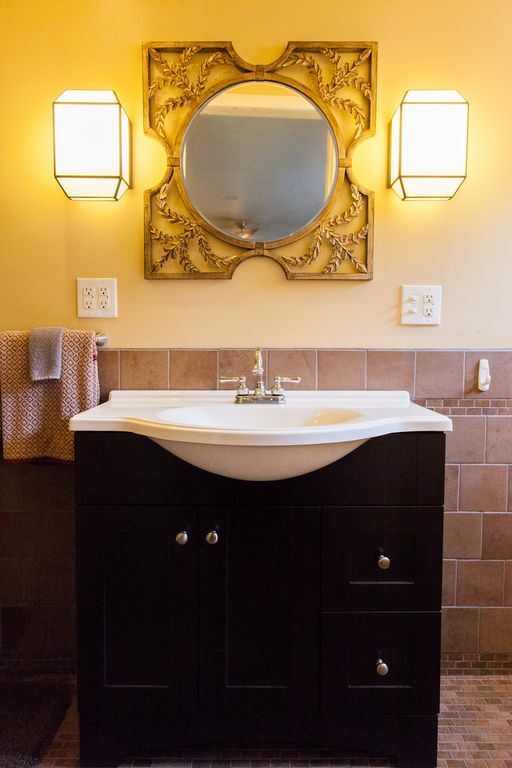 The bed and lamps are reflected in the full-length, mirrored closet doors. This room has a number of amenities including color cable TV, ceiling fan, A/C and a snack bar that is equipped with microwave, toaster, refrigerator and coffee maker for our guests' convenience. 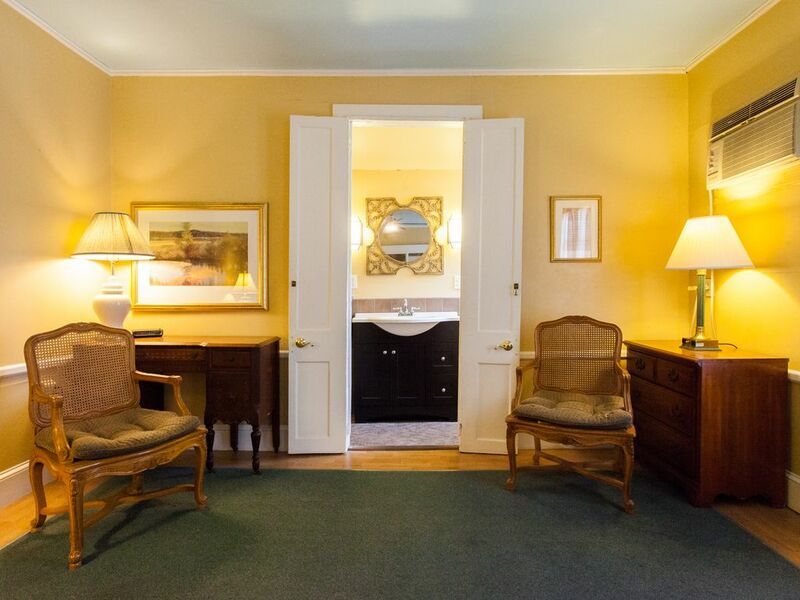 The private bath with this suite was once a side porch which was enclosed around the turn of the century, and completely renovated in 2010. Maximum occupancy for this suite is two people. The accommodations were clean, well equipped, and comfortable. Great market across the street for coffee and cream, fresh fruit, etc. Mini fridge for cream, drinks, take out food. 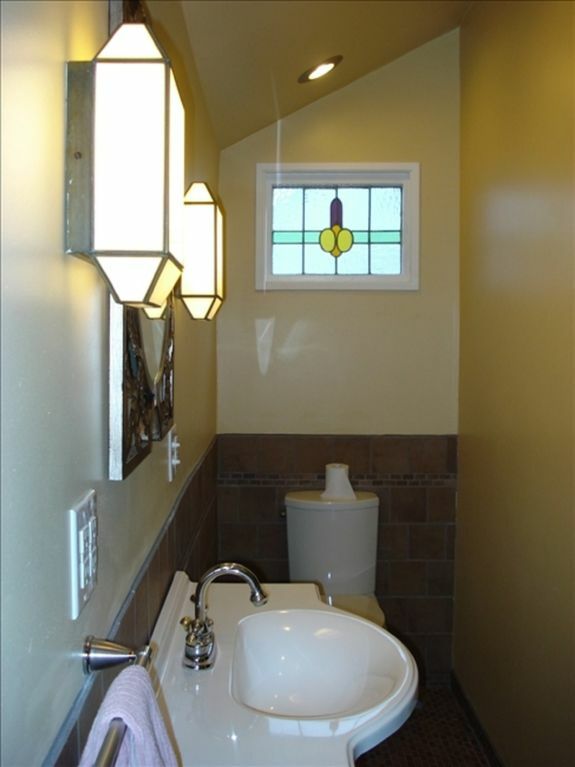 The location is convenient to literally everything you could want. It's a very short walk to the best two blocks of music on planet earth! Amazing Food court nearby. Streetcar and bus are right there. We took the street car to Canal St., walked back on Royal, with a rest stop at Jackson Square and the Mississippi. If a fat almost 70 year old guy can do it so can you! There is a comfortable outdoor area at the location where grows the strangest tree, maybe vine?, it looks like a dozen green footballs are growing upward along the trunk. Scott, I'm sure will answer any questions you might have. This Oregonian says, "Have fun, Just Do It!" Scott, thanks, and do you know what that tree is? 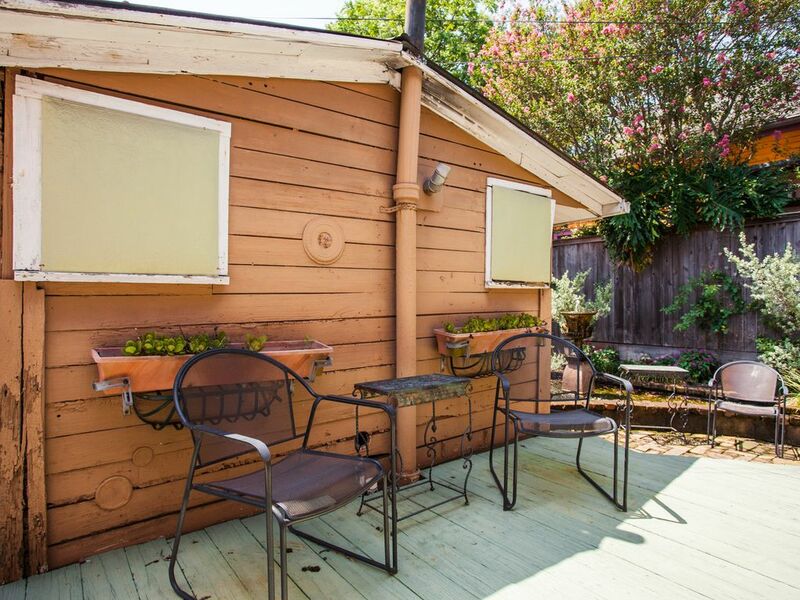 It was our first time to New Orleans so the little cottage was perfect for us to stay in and it was close to French Quarters. Food store is just across the street for food & drinks and street car line is only a block away. 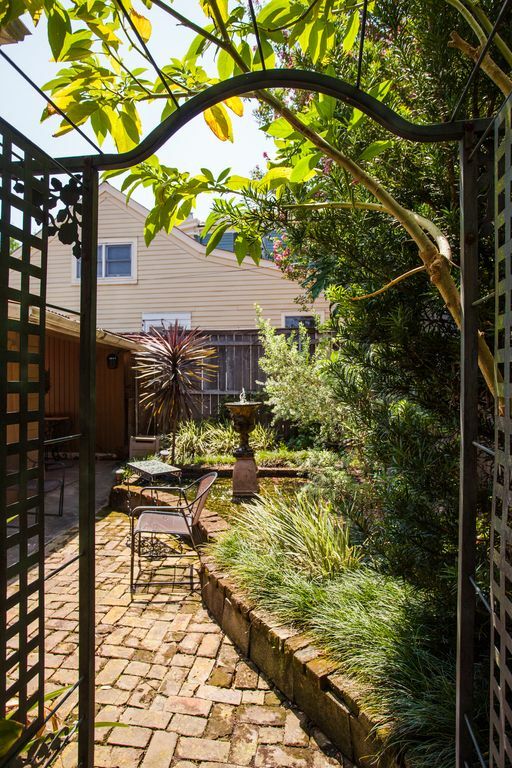 Easy walk to all the restaurants nearby and even to French Quarters. Bed was very comfortable to sleep on and there was also a small kitchenette for us to use but we were never around to use it. 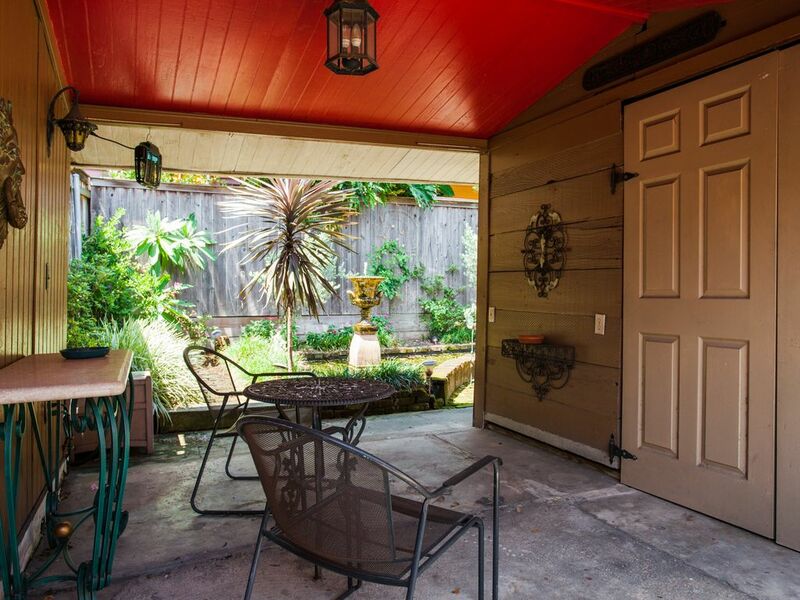 The cottage has nice patio to relax & drink after spending all day exploring French Quarters! We enjoyed the little cottage and we hope to come back another time so thanks for letting us use it! Room was adequate but aged. Everything seemed clean though. And more quiet than we expected. Location excellent. Great value. My husband and I stayed for a week and absolutely loved it! We were able to park right next to the location and we were only about a 10 min walk from the French Quarter! 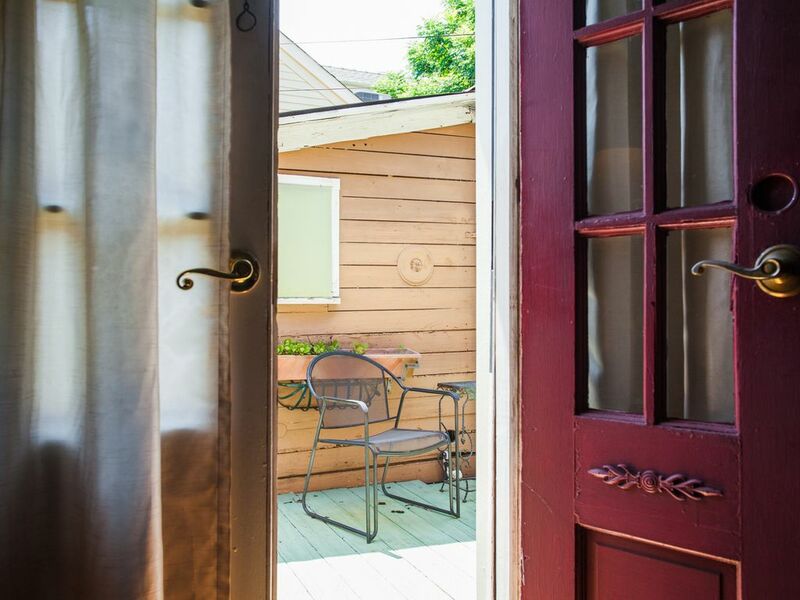 We suggest walking down Frenchman St. as it has a lot more artsy character. Scott was great and had a lot of knowledge of the area. He provided us with a map and gave us some great suggestions on what we could do on our stay. We even walked to the WWII museum (about 30 mins). There is a grocery store across the street and a Walgreen's on the next block, as well as the streetcar and Hop On Hop Off Bus stop. We would definitely stay here again in the future! 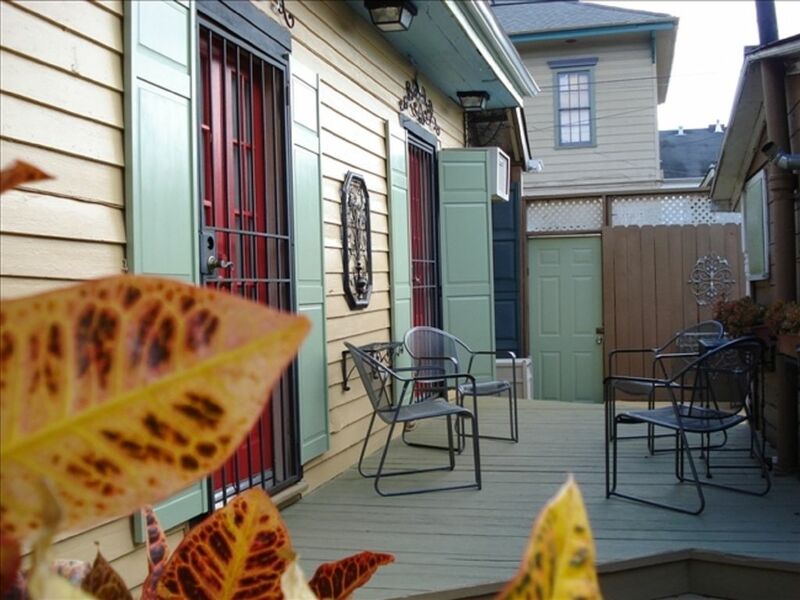 Serendipity in Marigny is a great spot to base your Marigny and French Quarter experience from. Scott is very accommodating and generous. I would highly recommend. Great bar next door. The Ruby Slipper up the street - great brunch. Very nice grocery store across the street. 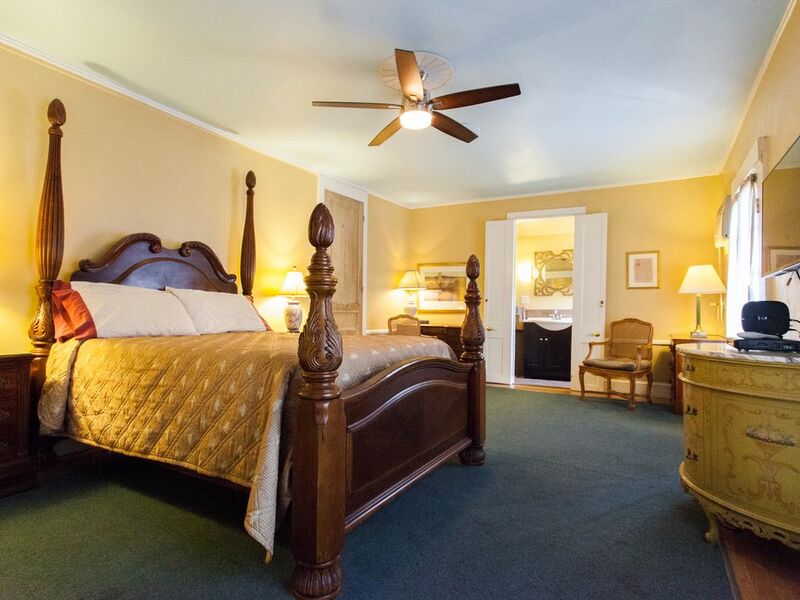 Within walking distance to Frenchman St. Easy Uber or United Cab to get around the Quarter. Great sitting area in back. Felt secure. Scott couldn’t have been nicer. We will be back to stay in the future. Scott is a very knowledgeable host and will point you in the right direction. 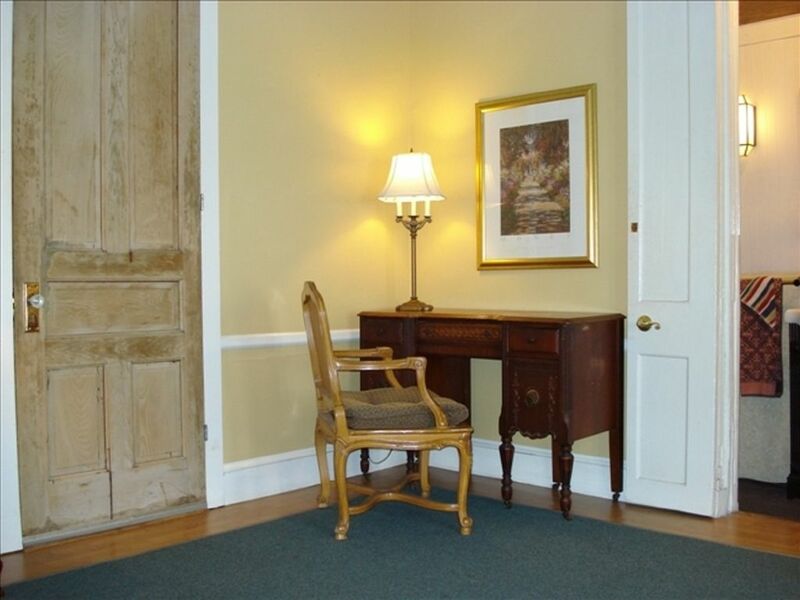 The suite is very comfortable and has a outdoor seating area. 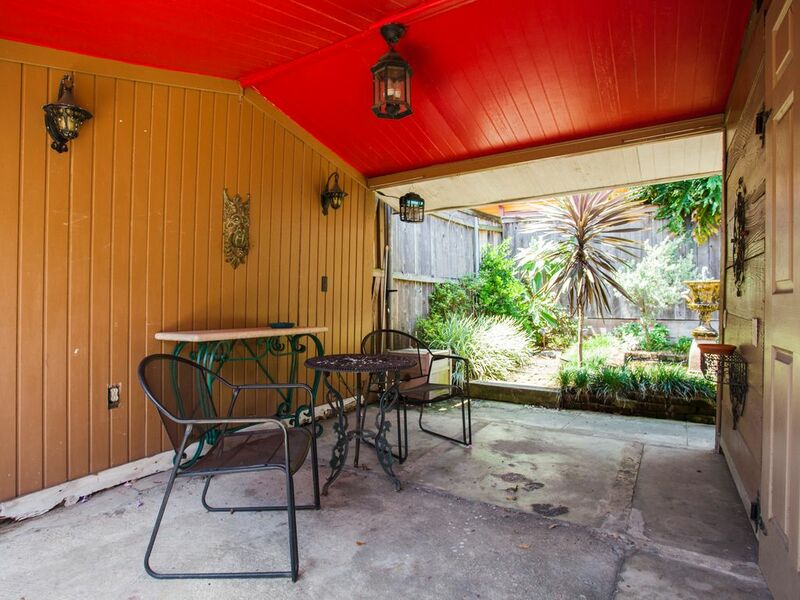 It is a great location, Frenchmen st is just around the corner and Roberts grocery store across the road, Elsyian fields streetcar is also 1 block away.You could not have a more central place to stay. Highly recommended. We stayed at Scott's fantastic place 4/20-4/23. It was an absolute delight. When we arrived, we met with Scott (he only lives a couple of houses away so we didn't wait long) and he showed us the place. 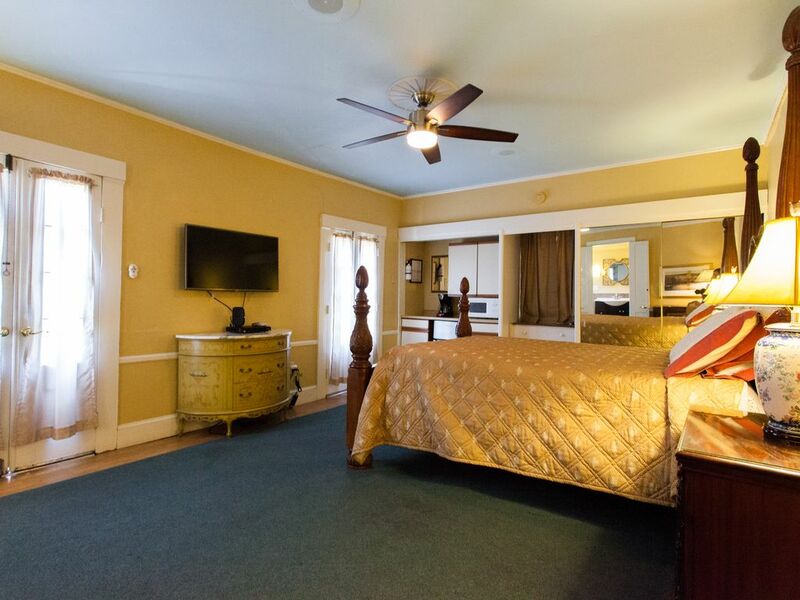 It is a very large room with a snack bar and mini fridge, great flat screen tv and a beautiful bathroom. Lovely deck outside as well! Scott gave us a little history lesson on where the name "Dixie" came from and we enjoyed it being from NJ and not knowing much about New Orleans. Across the street is a great gourmet grocery store (Roberts') where we got snacks for room. There is a Walgreens half a block away which I forgot deodorant so that came in handy. There is a bar on the corner - Mags - that was fun for our first drink. Literally 300 feet away is Loretta's pralines - GO there!! They serve breakfast and lunch as well. 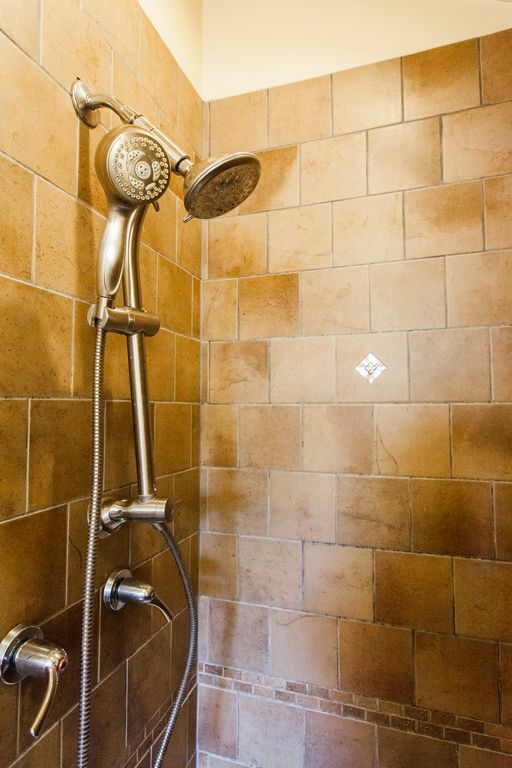 Scotts place cannot be beat for the amenities, the affordability factor and the location - you are only 3 blocks from the fun of Frenchman Street - old bars with jazz players, exposed brick walls, ambience. We liked that area and Decatur Street way better than Bourbon Street - we are a 52 year old couple that likes to party - but even though you must go to Bourbon Street to say you went - it was a bit much for us. We rented a car at the airport and had no problem parking near our room. In front of the afore mentioned grocery is a walk up bike rental place, and you can also take the trolly to the hot spots if you want. Thanks so much Scott!! We loved your place and hope to return someday soon!!! The location was great! A short walk to Frenchmen and the Rampart Streetcar line. Scott was very nice and inviting. 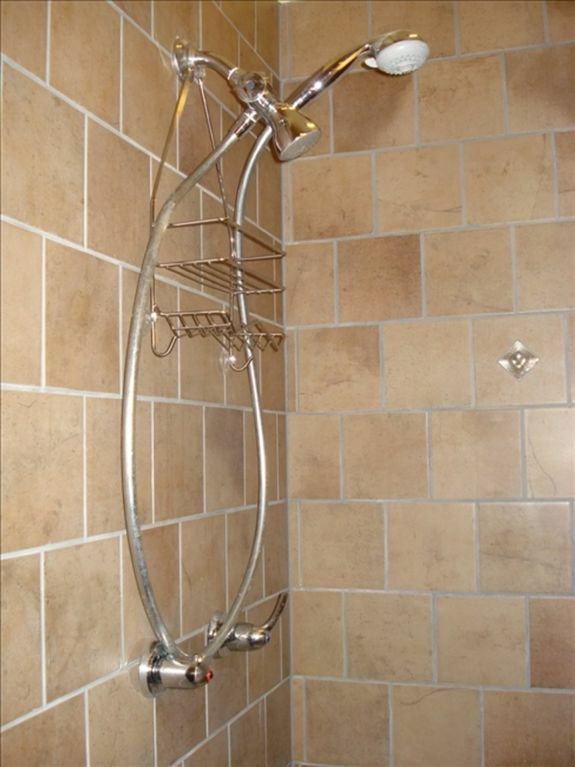 The shower is a little small and the water pressure is less than desirable but in my experience that’s not uncommon in New Orleans. The courtyard was nice to sit in and have coffee. We tried to go to Lorettta’s and get coffee but they were closed. The market across the street was convenient for coffee and other supplies. Overall it was a good stay. We would definitely visit Scott again.